Dealers offering Discounts -- Post in here! Thread: Dealers offering Discounts -- Post in here! If you are a Honda Big Read dealer and you are offering discounts, please post up in here! Re: Dealers offering Discounts -- Post in here! We will sell one for $9995+Doc+Tax....thats it!!!! Good Price, how popular are the big reds in Ohio? I haven't seen one down here in New Mexico. I'm not a dealer but just bought some Honda parts from Mason City Honda, they are offering Honda parts for 20% off MSRP with free shipping on most. Best deal I have found. 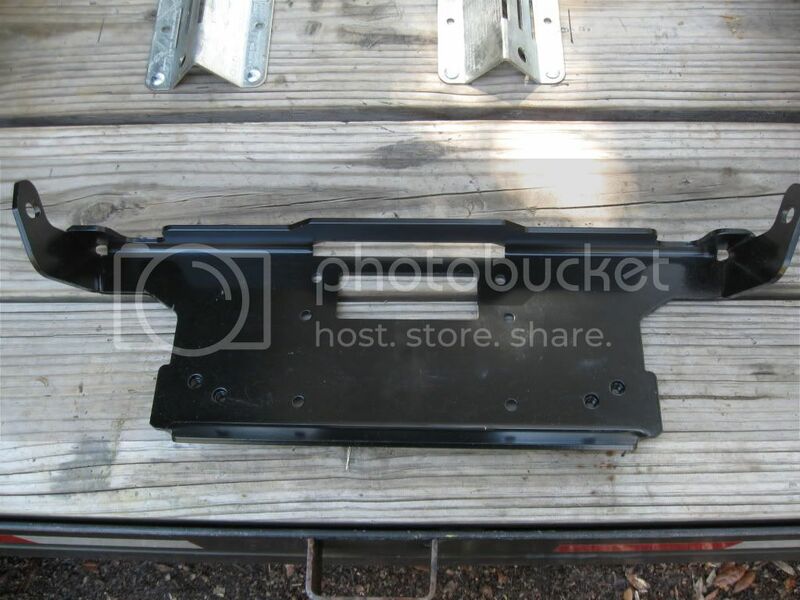 Got a factory winch plate if anyone is interested. Bought this off of ebay and it came in the factory box. 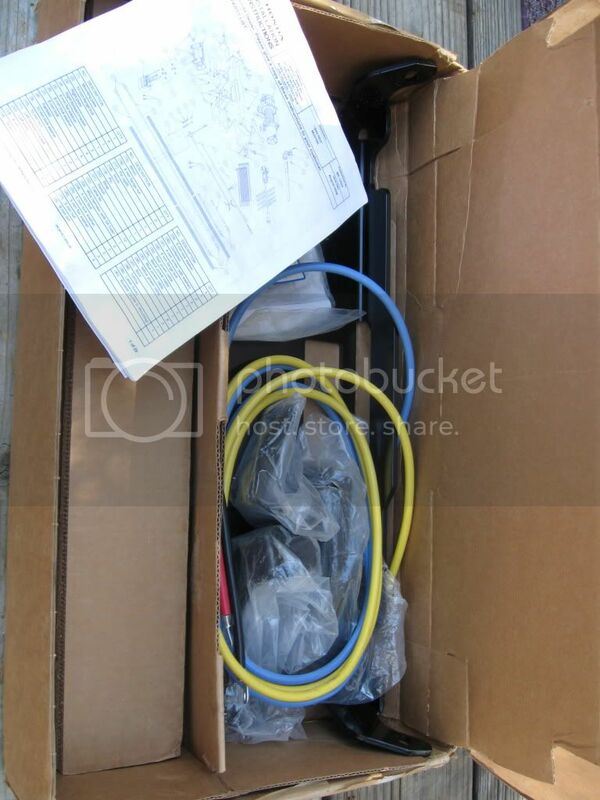 It's missing the winch, fairlead, relay and wired remote. 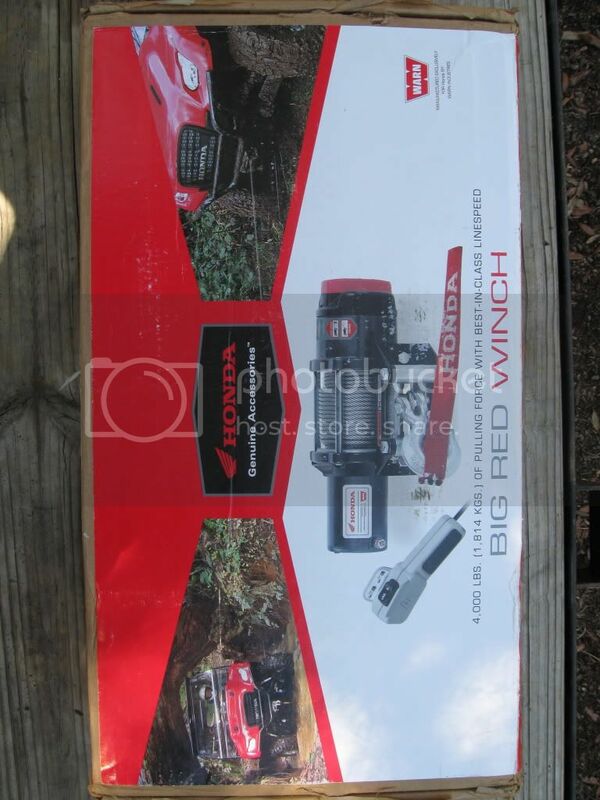 What is included is the winch plate, fairlead mounts, right angle mounts to secure the plate to the lower frame, Hardware to attach to Big Red, Aux battery wiring, instructions. There are different opinions for a winch. While a fair amount of us paid the extra $$$ and got the Warn. If you want a factory winch plate to attach your own winch this may be just what your looking for. I'm asking $50.00 plus whatever it costs to ship to you, not looking to make any money on this. If you're looking to protect your investment, replace your OEM skids and throw in one of our after market UHMW skid plate. UHMW-PE is used extensively in the mining industry to protect steel in wear applications, for example, slurry piping. UHMW-PE is very low friction, giving it a slick, non-stick quality. It allows clean, uninterrupted operation/flow in dry, wet and freezing conditions. Materials pass over without adhesion and buildup. Barnacles wipe away from UHMW. SSS Off-Roads offers a cup washer to recede the bolt heads to minimize damage and keep the skip free of snags. We have a tongue and groove system so the plate has a tight fit and will prevent any hang ups. Recessed cup washers to prevent damage to your bolt head. Our rock glider/sliders system is part of the skid plate. It is not a separate piece that overlaps, no overlapping less chances of something catching. Honda Honda Pioneer 700-2 Design Change This was a HP version where they had 3 holes on main/tail lap joint. They redesigned it and didn’t have these on them anymore.